Incorporated in Feb. 2005, China Universal Asset Management Company Limited (CUAM) is one of the leading asset management firms in China with RMB 700 billion of assets under management. CUAM has branch firms in Beijing, Shanghai, Guangzhou and Chengdu and two subsidiaries: China Universal Capital Management Company in Shanghai and China Universal Asset Management Company (Hong Kong) in Hong Kong. CUAM and its subsidiaries have business qualifications for managing domestic portfolio of National Social Security Fund (NSCF), providing solutions for overseas portfolio of NSCF, and managing portfolios of basis pension funds, among others. Currently, with an integrated and universal asset management platform, CUAM provides mutual fund, segregated account, online fund sales platform, pension management, private equity and international business services. Since its establishment, CUAM has been committed to improving active asset management ability and is viewed as “stock picking expert”. CUAM receives recognition and acclaim from its investors and financial institutions at home and abroad for its long-standing excellent investment track record and first-rate client services. As of Dec. 31st 2018, CUAM has RMB 700 billion of assets under management and provides services for 70 million investors. Mutual fund asset under management (exclusive of money market funds) reached RMB 187.6 billion, ranked No. 8 domestically. As of Dec. 31st 2018, CUAM has earned over RMB 70 billion for investors on cumulative basis. Mr. Herbert ZHANG is co-founder and CEO of CUAM. Prior to this role, he was CIO and Deputy CEO of CUAM. He has put in place investment philosophy, structure and process, and built and nurtured a research team with integrity and excellence in CUAM. Prior to joining CUAM, Mr. Zhang served as an analyst in Shenyin Wanguo Research Institute, and Research Director and Portfolio Manager at Fullgoal Fund Management Company. The return of mutual fund named Fullgoal Benefit Increase he managed in Fullgoal ranked top 1% in the same category. Over the past 4 years, under his leadership, CUAM has grown at accelerated rate and become one of the leading asset management firms in China. ● Established multi-strategy and multi-style investment product line. Won "Shanghai Financial Innovation Award" many times. ● Diversified into passive investment, asset allocation, primary market and alternative investment, overseas investment to promote company competitiveness. ● Awarded mandate for basic pension funds, National Social Security Fund, and almost all major domestic banks and insurance companies. ● Built a leading online fund sales platform with 200 billion RMB of AUM. Dr. Xianwang Han is now Chief Economist of CUAM and he worked as equity analyst in JunAn Securities, assistant director of research department in TianTong Securities, research director in CPIC Fund Management, and equity research director in PingAn Asset Management. 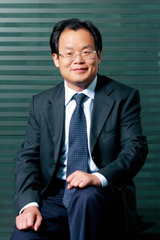 Dr. Han joined China Universal in 2007 as research director and then acted as chief economist since 2016. Dr. Han graduated from Nankai University, then earned his Master’s degree in World Economics and Doctor’s degree in Western Economics from Fudan University. Mr. Leo Liu is portfolio manager at CUAM and currently manages Global Healthcare Industry QDII Fund and Healthcare and Services Fund. The total AUM under his management has achieved nearly RMB 10 billions, which makes him one of the few PMs who manages the healthcare relevant asset beyond 5 billions. He joined CUAM in May 2011 as assistant analyst and has covered more than healthcare during the last 8 years. Leo received his Master's degree both from University of Technology Aachen in Germany and Tsinghua University. 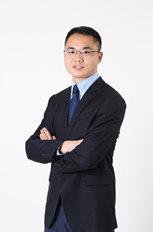 Mr. Jesse YANG is portfolio manager at CUAM and currently manages Global Mobile Internet QDII Fund. He joined CUAM in August 2010 as assistant analyst. He covers mostly TMT sectors including electronics, internet, software and media. Jesse received his Master's degree in Electronic Engineering from Tsinghua University. Mr. Robert HU is portfolio manager at CUAM and currently manages Global Consumer Industry QDII Fund and Consumer Industry Fund, the performance of which hits top 1% in the same class of funds for the past three years. He joined CUAM in August 2011 as assistant analyst. He covers Consumption and Retails sectors including retails, tourism, education, etc. Robert received his Master's degree in Electronic Engineering from Tsinghua University. l What has happened in recent macro economy of China? 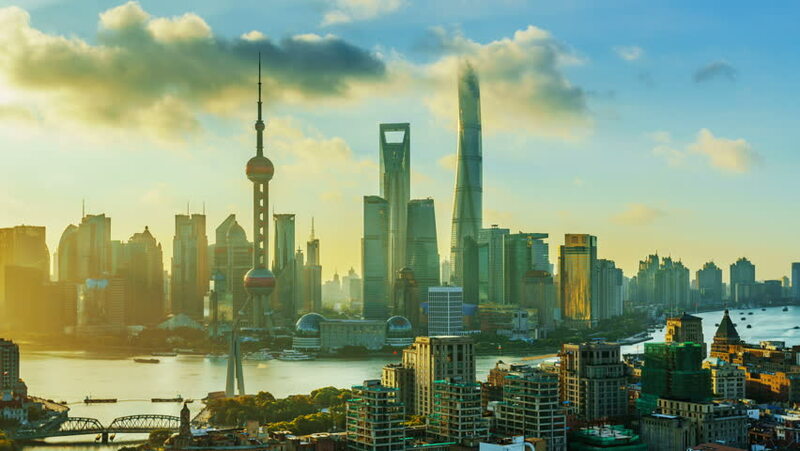 Founded in 1994 in the U.S, The Chinese Finance Association (TCFA) was founded as a non-profit organization comprised of professionals, policymakers, and scholars in finance and related fields who have a strong interest in China’s financial and economic development. Today, headquartered in New York City, TCFA has over 6,000 members globally with chapters in Boston, Washington DC, Chicago, San Francisco, Los Angeles, Toronto, London, Paris, Tokyo, Singapore, Beijing, Shanghai, Shenzhen and Hong Kong. Our members range from senior finance professionals holding leadership positions in major financial institutions, research institutions and governments, to students and young professionals. Since its beginning, TCFA has served as a bridge between U.S. and China in finance and related fields. TCFA is proud of its non-profit status and our teams and board members all work on a volunteer basis. Please visit our website www.tcfaglobal.org for more information.